A week ago I finished Mr C’s blankey and it turned out just as I had hoped it would. Colourful and bright! Well that’s a given with rainbows isn’t it. Below are a few photos of this finished ‘masterpiece’ as it’s quite like a piece of art, and from a distance the colours seem to work really well together. Needless to say I am more than happy with how it turned out. Bright and colourful, just like every rainbow. Have I mentioned before that I love colour? And of course, the photo of the blankey on the chair. It had been raining for a few days and had finally stopped just as I finished this blanket, so I quickly ran outside to get this shot. I drew inspiration from Ryane @olivesandpickles on Instagram. 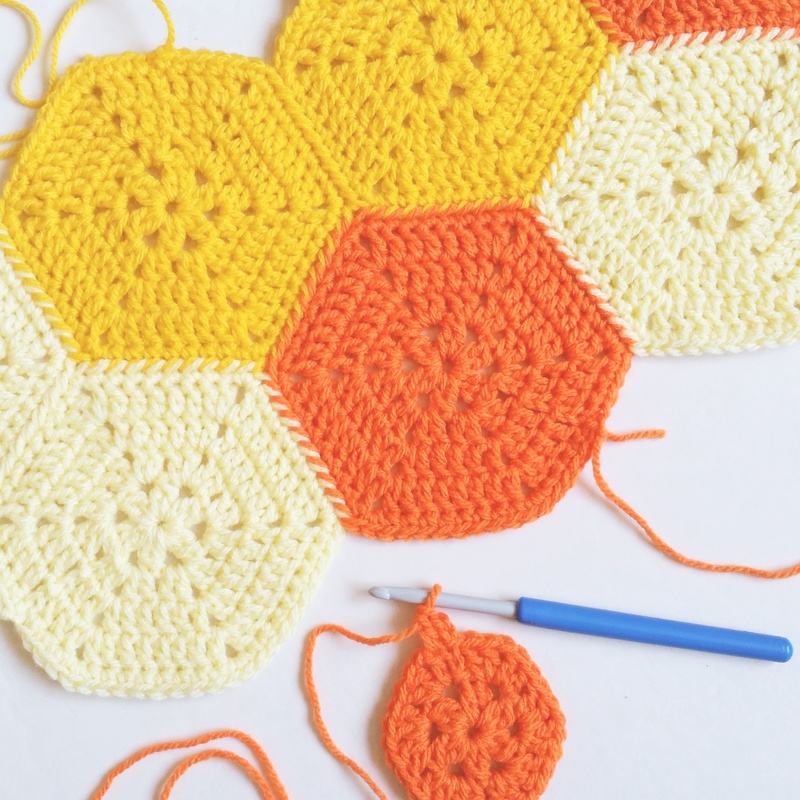 Her feed is amazing with these unbelievable hexi blankets. Go and check her out. She does sell a pattern too if you’re wanting to make your own one. I used 8ply (dk) yarn purchased from Big W and Spotlight and my favourite 5mm hook. I designed the layout first before starting to crochet. 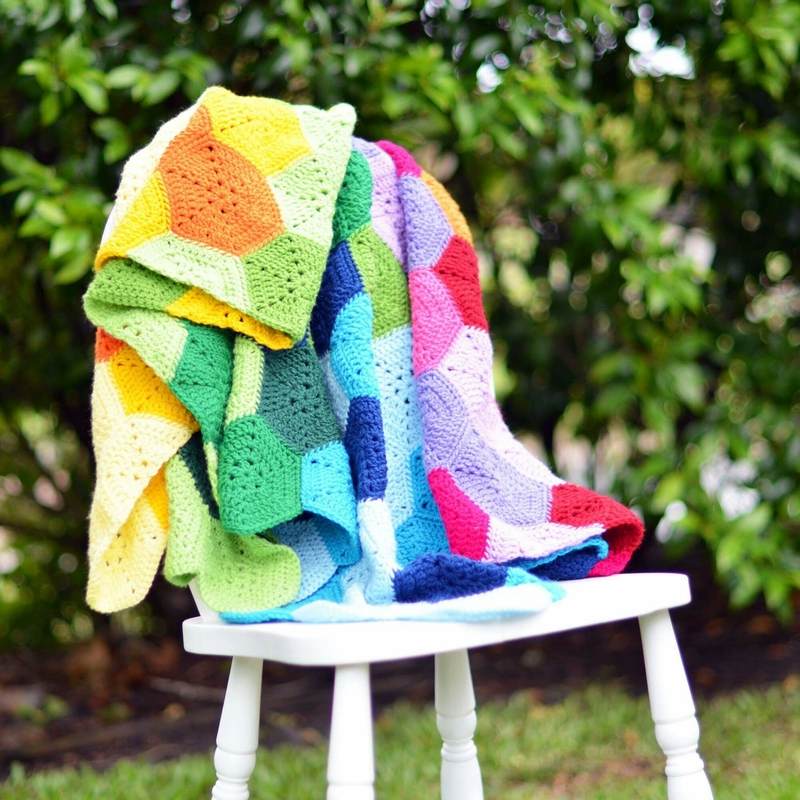 And used the join as you go method again for this blanket. 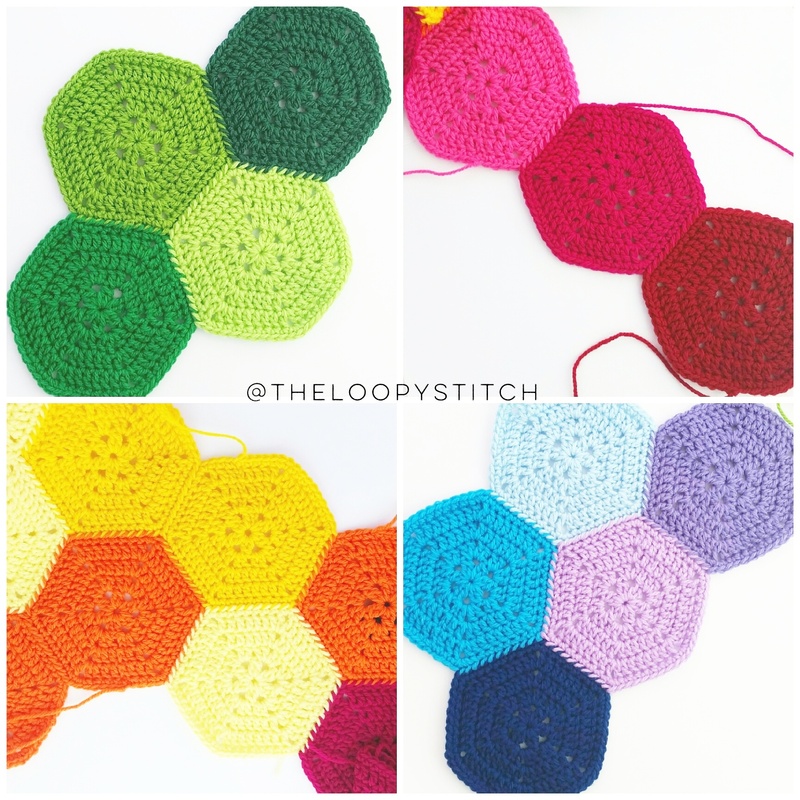 The layout of the rainbow hexi. 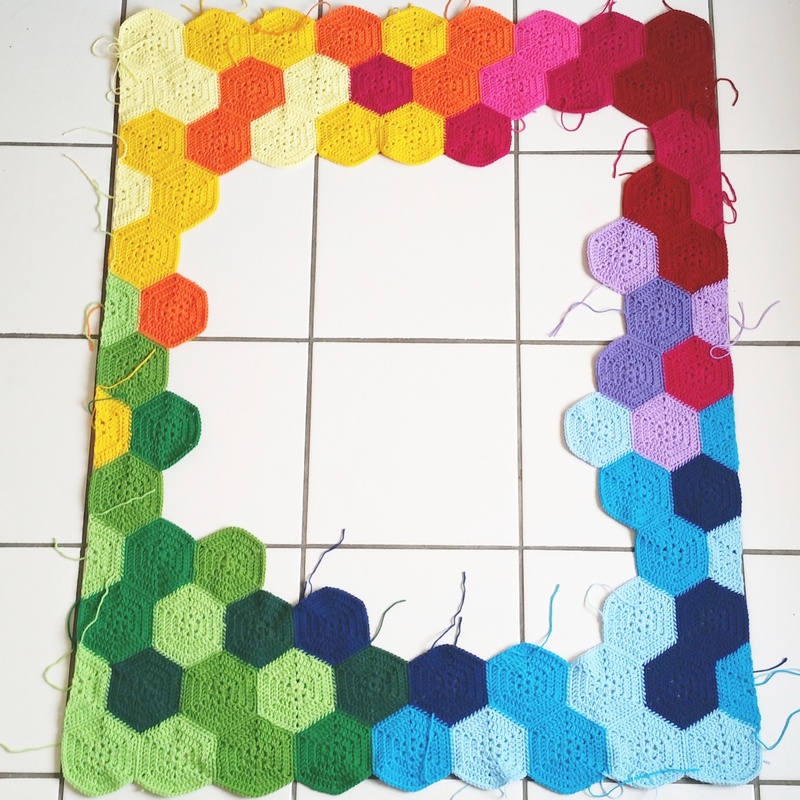 I started by making the first couple of rows. Then I couldn’t help myself and had to crochet the other xolours to see what they would look like together. 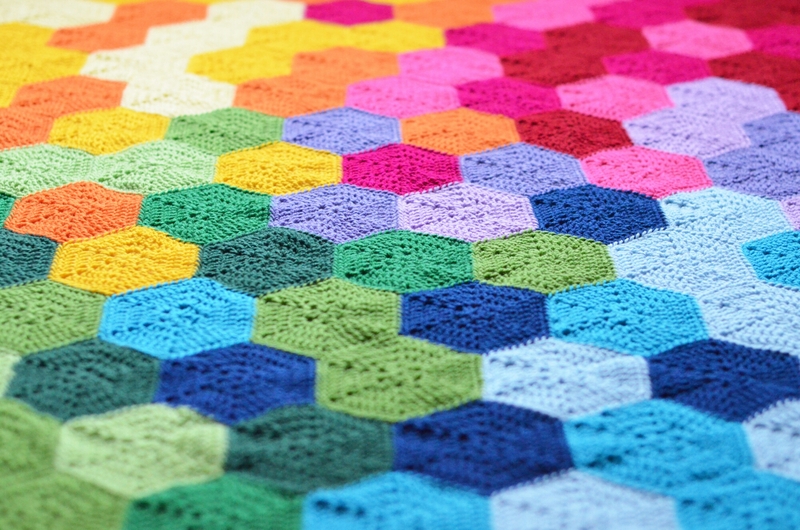 I just love how this blanket looks once the half hexis are crocheted and joined. I honestly felt like this blanket was taking me forever to do. I finished it within three weeks, the same amount of time it took me to do the Minecraft Blanket (which is over double the size). I will finish the post with this photo. Yep, I do love how this turned out. Maybe almost as much as Mr C does….maybe. Here is a photo of the ‘wrong’ side so you can see the joins. Keep in mind it’s a very loved blanket lol. Hence the pilling lol. 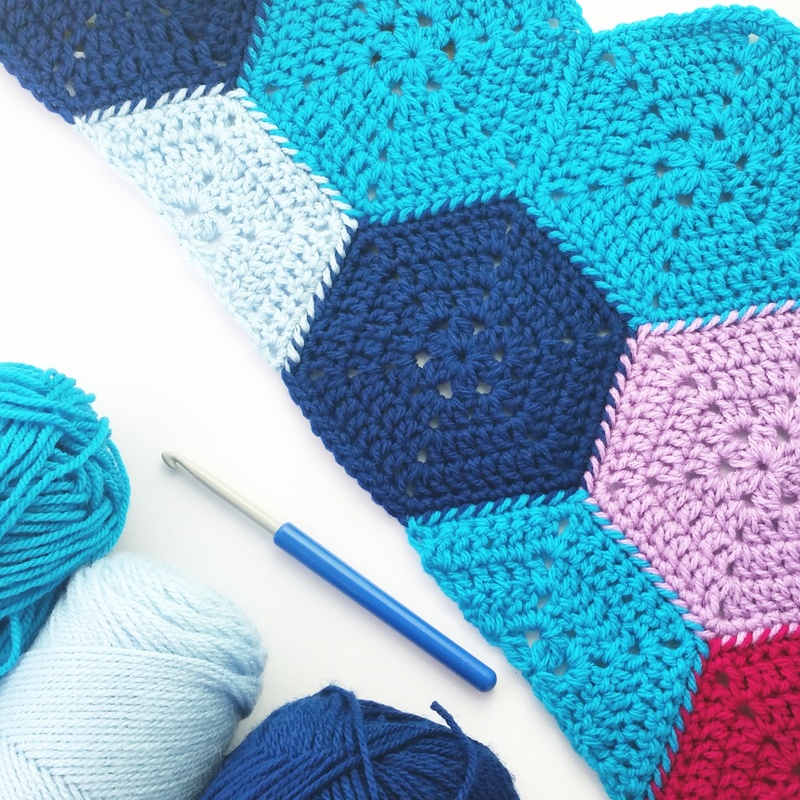 Start and finish a cushion in a day? Sounds easy…. This is wonderful! I’m definitely going to try making one for my little guy. 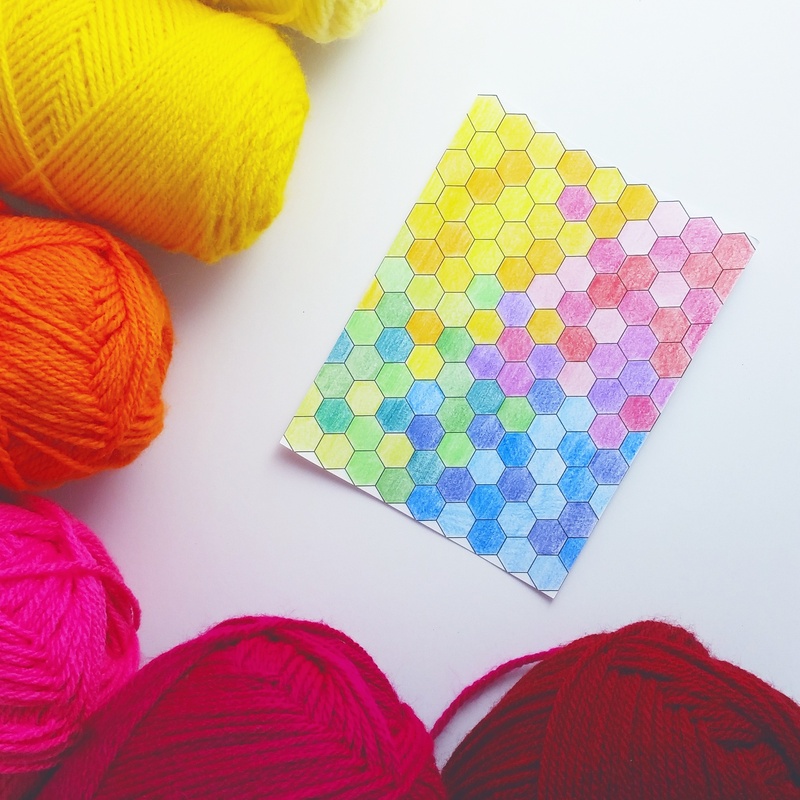 What yarn brand and colors did you use? Are you able to post a picture of the “wrong” side of this blanket. I would like to know how the joining looks on that side. Hi Nicole, sure thing. I’ll get it done today 😀 and it will be down the bottom of the original post / pattern. 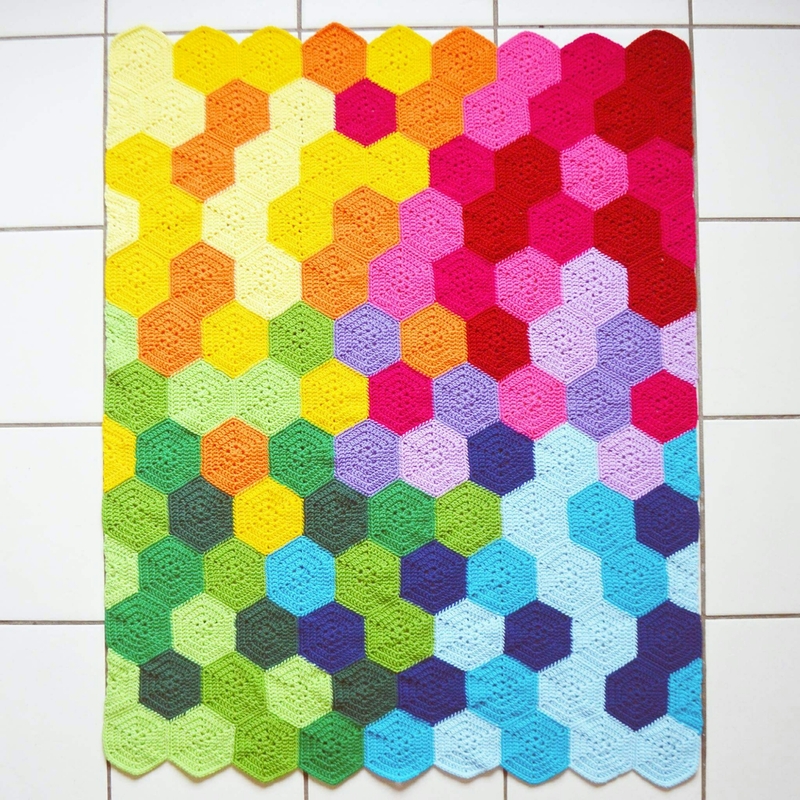 Have you ever done a border on a blanket like this? This blanket is gorgeous!